Deep tissue restoration of volume & correction. High concentration of HA and high viscosity. This product contains a highest available concentration of hyaluronic acid 26 mg/ml cross-linked with PEG. 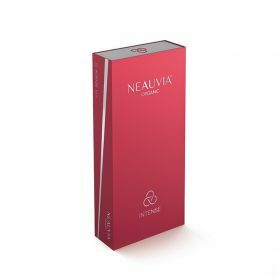 NEAUVIA Organic Intense Flux is an organic filler with low viscoelasticity and high biointegration. 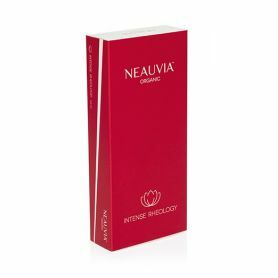 NEAUVIA Organic Intense Flux is intended for deep tissue restoration of volume in moderate and strongly aged skin. It is suitable for injection into the intradermal layer. It is characterized by the highest amount of hyaluronic acid 26 mg/ml and high viscoelasticity of the hydrogel to guarantee 100% satisfaction for the patient. Like all Neauvia fillers it is made using the purest hyaluronic acid available and cross-linked with PEG polymer to obtain an IPN technology. In addition to hyaluronic acid it contains amino acids - Glycine and L-Proline - that are main ingredients of collagen. 26 mg/ml HA, cross-linked with PEG. 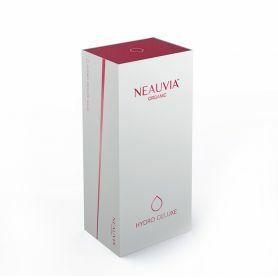 Neauvia® Organic Intense is an organic filler that contains the highest available concentration of hyaluronic acid. Neauvia® Organic Intense gives a lifting effect and is highly adaptive to the tissue, which helps to achieve desired results. 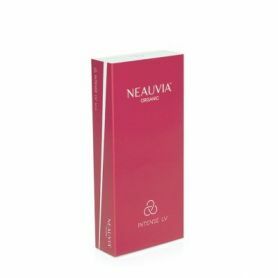 Neauvia® Organic Intense is suitable especially to deep filling of skin depression (including deep wrinkles and nasolabial folds), cheeks, chin and nose modeling and face contouring, in moderate and strongly aged skin. The balanced crosslinking degree the Intense Flux is highly adaptive to the tissue which helps to volumize the anatomic area. The Neauvia Organic line offers products for filling tissue losses. It guarantees natural look and minimizes the risk of adverse reactions. It has been developed using the latest technologies, ensuring an unprecedented purity and efficiency of preparation. Neauvia range of fillers are biomimetic. Thanks to the PEG-cross-linked technology, they have an high safety and tolerability profile. Each Neauvia Filler reference is based on a specific combination of HA and PEG for different indication and injection planes. Mesotherapy is one of the most popular aesthetic treatments that significantly improve quality of the skin. New product designed particularly for mucosa tissue. Fine line reduction, light corrections, orbital area, glabella. Natural correction of superficial and moderate wrinkles. Gynecological soft tissue correction, tissue augmentation, lipodistrofy correction. Out of concern for the intimate health and beauty, Intense Rose is dedicated to correcting lipoatrophy and tissue augmentation in private parts.